We work hard trying to get individuals and families to consider joining "our Y". We drive traffic to our website. We hand out passes to get them to visit our facilities. "Give us a try! You will love us!" Radio. TV. Direct mail. Magazines. Newspaper. Advertising. But when was the last time you measured how easy it is for an individual to actually go through the process and join your Y? We always assume we are doing a great job. After all we have been doing this for years. But "anything worth managing is worth measuring". Do you have a process in place to measure the enrollment program at your Y from the customer's perspective? Start to finish? Years ago I was in charge of marketing for a large automotive franchising company that provided automotive services - brake repair, scheduled maintenance, etc. And when I brought up the idea that perhaps some of the problems we were having with sales was the disconnect between the level of service we thought we were providing and the level of service the customer's thought we were providing, a world war almost broke out. "You worry about getting cars in the bays, I will worry about how to treat my customers." But I pressed on. With the assistance of people in the Operations Department and a few forward thinking franchisees, we put together the checklist of the most important steps we taught in New Dealer Training about providing customer service. Immediately greet the customer when they arrive. Ask open ended questions to determine why they were visiting. Use Uniform Diagnostic Procedures when inspecting their vehicle, then take them to their car and show them what was wrong and what was right with their vehicle. Thank them for coming in. 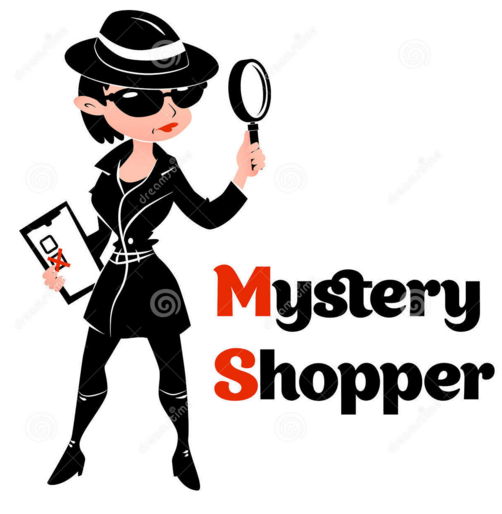 Then I hired a mystery shopper service to send in shoppers, request a service and then fill out the checklist to see how faithfully the shop was adhering to the customer service principles we all agreed were so important. I then scored the shop on a scale of 0 (the worst level of service) to 100 (the very best level of service). I placed the score in one column and then in the next column I placed the shop's quarterly sales volume and whether sales were increasing or decreasing. Whether or not you chose to look at the results based on scores or sales, the trend was undeniable. The shops with the lowest customer service levels had the lowest sales results. The shops with the highest customer service scores had the highest sales volumes. Sometimes sales are down because of construction/the weather/the economy. Sometimes sales are down because we can't see the problem standing in front of us. Either way, it helps to gain a perspective from the outside. If you want the name of a good secret shopper service, give me a call. Or just ask friends or neighbors to come in and try to join. Either way you will learn something about your business. And here is the best piece of advise I shared with every franchisee who came through New Dealer Training. And every franchisee swore they would follow this piece of advice. It was easy and FREE. After servicing a client's car, call the customer within 72 hours and ask them if everything was alright with the repair. Every franchisee started off with the best intentions and called every customer. For about three months. And then the franchisee started getting "busy running the business". And calling every customer became calling every other customer. And then they delegated this job to an employee. And then they started relying on Jeff's Quarterly Secret Shopper report. The very best way to find out how you are doing from the customer's perspective is to ask them. If I ran a YMCA I would call every new member after their first week. And then after 30 days and 90 days. And then I would set up one day a month to randomly call other members. And I would send out member surveys via email every quarter. I would spend as much time talking to my current members as I spent recruiting them to join. If you are interested in talking to Thrive about how to increase your flow of prospects into your Y, let us know by clicking below. Your website should be a Membership Machine, not an expense.